Tha Yoties, a reggae band with Native American influences, will perform Saturday at the Dolores River Brewery. 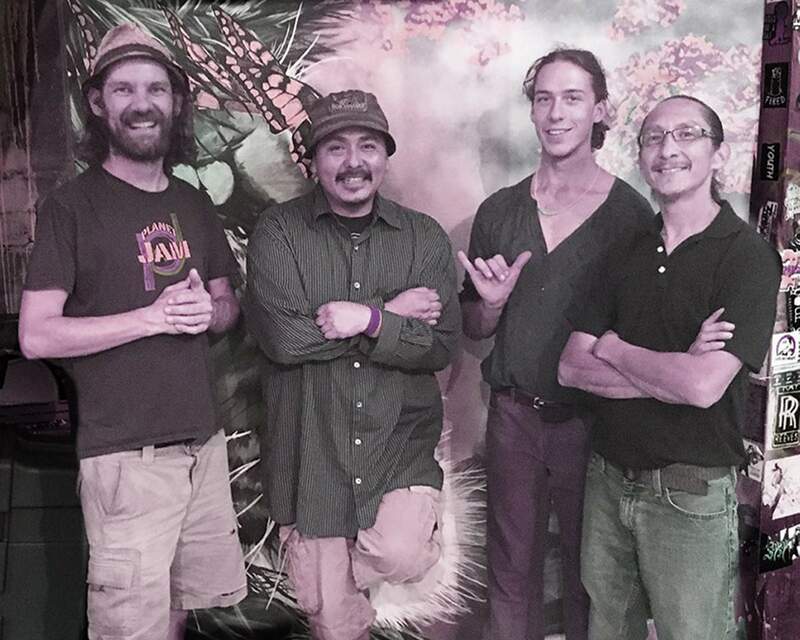 Tha Yoties, a four-man reggae rock band with Native American influences, will perform from 6 to 11 p.m. Saturday at the Dolores River Brewery. Singer and guitar player Ed Kabotie, a member of the Hopi Tribe, shares cultural and contemporary experiences of Southwest Native Americans through music. As part of a solo opening act, Kabotie performs storytelling songs while playing guitar and Native American flute. Bass player Hunter Eagleman RedDay, who is Navajo and Dakota Sioux, brings his perspectives to the band as well. Lead guitarist Alec “Xoi Wolf” Tippett and drummer Andrew Baker round out the band. Kabotie sees reggae music as an effective medium for communicating the historic oppression and current struggles of Native peoples. The pollution of Navajo lands by abandoned uranium mines and the protection of cultural sites are important issues for the band. The event is a fundraiser for the Southwest Colorado Canyons Alliance, an advocacy group for public lands and Canyons of the Ancients National Monument. There will be a silent auction featuring artwork by Terri Helm, Charlie Becker, Fran Mayfield and Lanny Wagner. A portion of beer sales will go toward the fundraiser. Cover is $12 at the door or $10 in advance at the Onward! donation website.